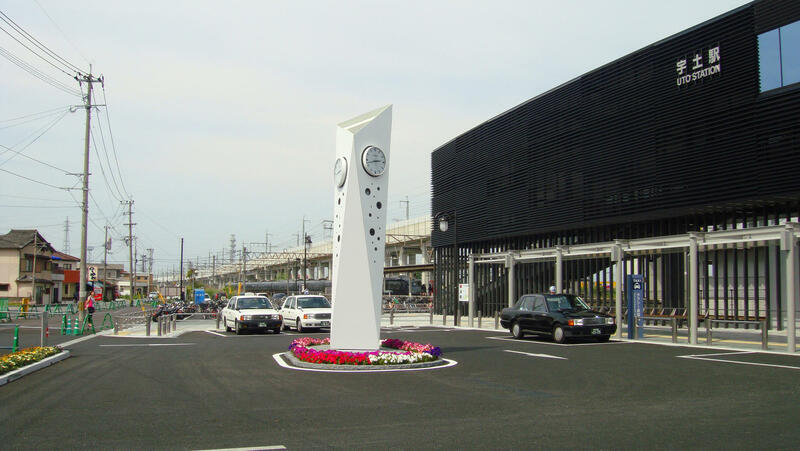 カメレオン - works | ラウンドテーブル｜roundtable Ltd.
Monument watch in front of Uto station. Kyushu Shinkansen - maintenance of conventional lines, design work accompanying rebuilding of station building. In addition, from the regional nature that is related to water, such as sightseeing spots such as the mikoshiki coast, "polka dots" is quoted and a design was constructed. Triangular hexahedron tubes show various forms to station users and passers-by. Leaving a different impression like a chameleon in memory.